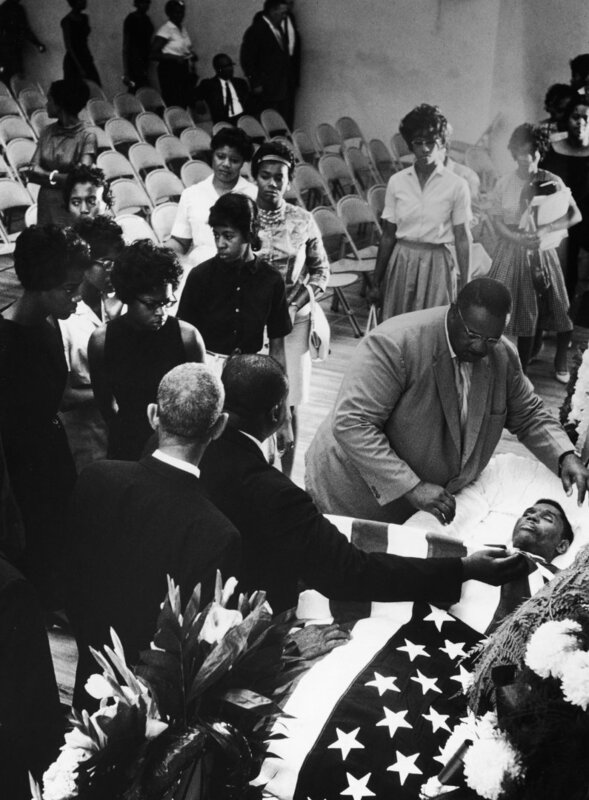 Mourners saying farewell to slain NAACP official Medgar Evers at his funeral, June 15, 1963. 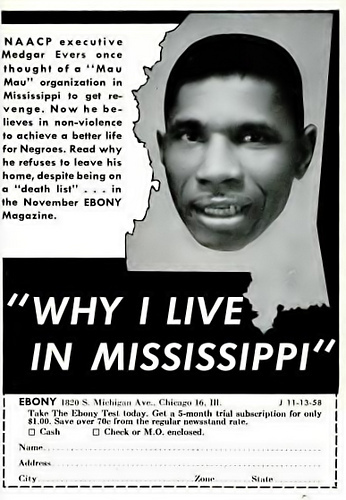 Today marks the 54th anniversary of the death of WWII Veteran & Civil Rights activist Medgar Evers. 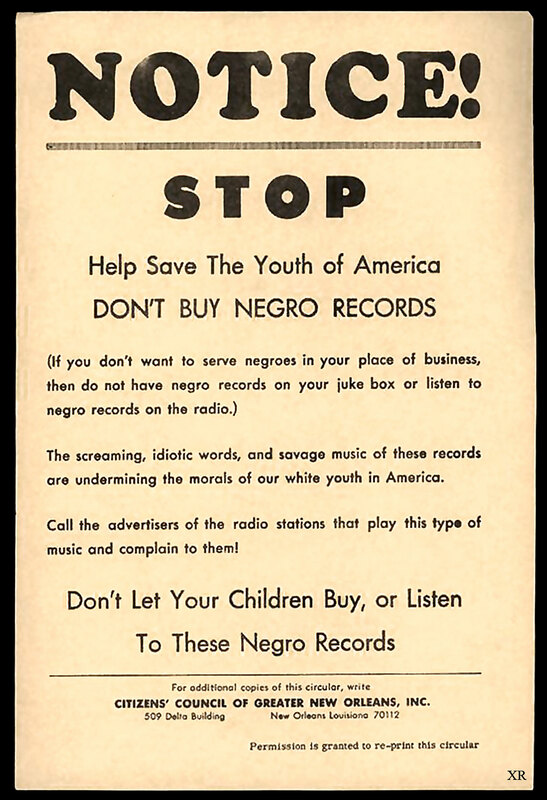 His death, along with that of 14-year old Emmet Till’s 1955 torture and murder, were seminal events in the Civil Rights Movement. 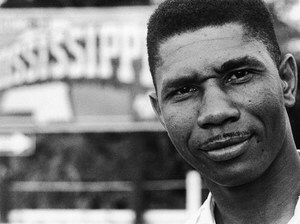 At 12:40 a.m., June 12, 1963, as he stood in the driveway of his home in Jackson, Mississippi, 37-year old Medgar Evers was shot in the back by a Ku Klux Klansman who used a high-powered rifle. Though he was rushed to a nearby hospital, he died less than a hour later.